Come find your treasure at one of our many garage sales in our cozy community! Maps will be available on this website 1-2 days prior to the event and paper maps will be available at the individual sales. Parade goes ahead rain, snow or shine! Need to register your sale? 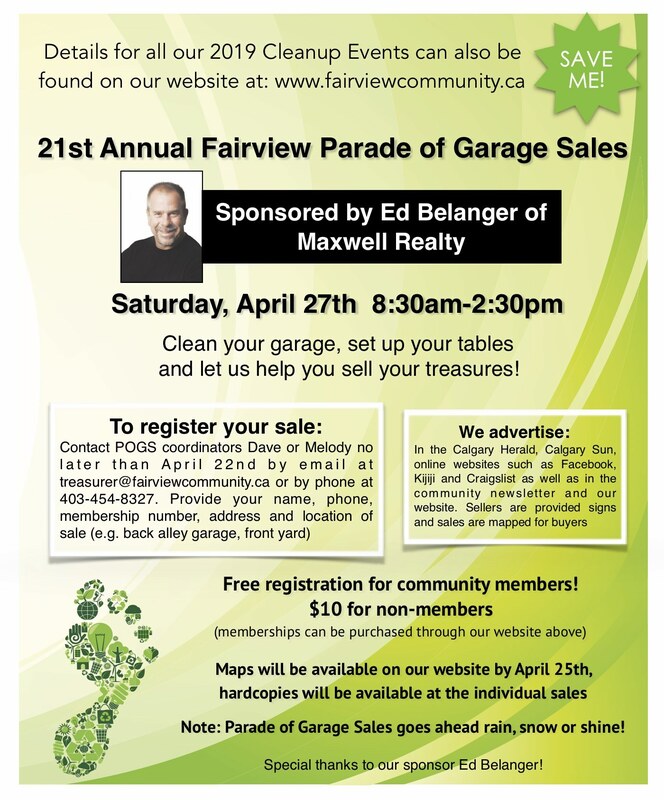 Contact POGS coordinators Dave or Melody by email at treasurer@fairviewcommunity.ca or by phone at 403-454-8327 by the evening of April 22nd at the latest to register your sale. Please provide your name, address, phone, membership number and location of sale (e.g. front yard, back alley garage, etc.). 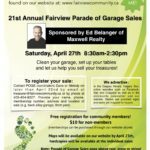 Free registration for Fairview Community Association members, $10 for non-members. We provide sale signs and maps for participants and advertise online on Facebook, Kijiji, Craigslist, in the Calgary Herald and Sun as well as in the community newsletter and website. Special thanks to Ed Belanger for sponsoring this event and Digital Post with printing help!